At the start of activity of the Ukrainian Association of Neurosurgeons its President Y.P.Zozulia, vice president V.I.Tsymbaliuk and responsible secretary М.А.Sapon began designing a professional scientific periodical an urgency of which was long overdue. In the time of the USSR the only professional journal “Issues of neurosurgery” used to be published. Materials of conferences and congresses were published on the pages of the collection “Neurosurgery” or in special collections dedicated to specific events, i.e. those publications were not regular. To address technical aspects of this issue an editorial board was set up as part of the scientific and organizational unit of the Academician Romodanov Institute of Neurosurgery under the Academy of Medical Sciences of Ukraine. At that time the publication of a professional journal encountered considerable technical and financial problems, which is why the first issues of the professional edition, registered in December 1995 as the “Bulletin of the Ukrainian Association of Neurosurgeons” (1st and 2nd issues), appeared in a brochure format, and texts were composed with Linotype equipment, which is archaic today. 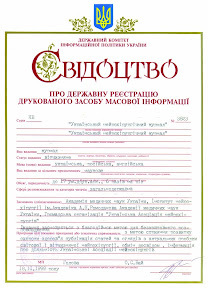 During the preparation of the 3rd issue of the journal S.V.Krasnikov, a worker of the radiology department, was engaged in its design, who before long imparted his knowledge of computer design of the journal to A.M.Nikiforova. The journal was of standard size, and its publication became more regular. During 1995–1999 eight issues of the Bulletin were published. Shortly thereafter the directorate of the Institute allocated a separate room for the editorial board, and equipment requisite for preparation of article for print was purchased. A.M.Nikiforova was charged with journal preparation, while S.V. Krasnikov became a consultant on composition and design. He was also responsible for technical maintenance of the editing equipment. Since the day of the neurosurgical journal foundation Yuriy Panasovych Zozulia has been Chief Editor, Vitaliy Ivanovych Tsymbaliuk – deputy chief editor, and Mykola Anatoliyovych Sapon – responsible secretary. Exceptional care on the part of the Institute directorate in regard to the professional edition produced its effect. Today the quality of the Ukrainian neurosurgeons’ journal is on a par with the best scientific periodicals both in Ukraine and abroad. As far back as in 1997 the first attempts at color printing were made. 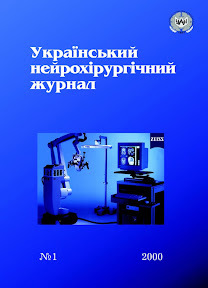 Now the “Ukrainian neurosurgical journal” is a full color edition of high quality print, which features topical articles, reviews, research findings, fragments of dissertations, neurosurgery practice briefs and other materials about neurosurgery science and practice, as well as allied biomedical fields of Ukraine and abroad. Wide coverage is given to the activity of the Ukrainian Association of Neurosurgeons and foreign neurosurgeon communities. The editorial board considers submitted materials on the basis of international standard of professional medicine and biology journals. One of such standards, apart from mandatory special and literature editing, is the publication of commentaries on scientific articles.